The inspiring artist Hozier returns to North America for his groundbreaking tour this summer and you can grab the chance to be there! 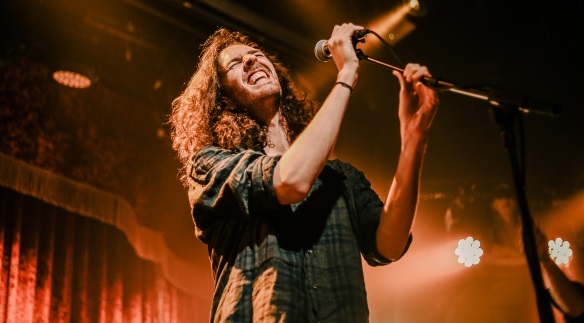 Hozier's live show are jaw dropping as he performs his biggest anthems to date – with his powerful vocal tone and intimate feeling to his live concerts, every one is a special and unforgettable evening. Come and join him as he heads down to BB&T Pavilion on Friday 26th July 2019! Tickets are on sale NOW! Hozier's popularity seemed to flourish over night, his breathtaking melody hooks and sincere lyrics have caused quite a stir all over the world! Most notably with the hit single "Take Me To Church" which has had viral explosion online via sites such as YouTube and Reddit, it seems that everyone is blasting the powerful ballad. It touches on real life subjects such as homosexuality, something that not many other artists have tackled before, this awarded him with an instant international fan base, as well as record label exposure. At just 15 years old, Hozier's music taste was already very developed, leaning towards blues, R&B, soul and gospel, influenced from his musical household. After barely leaving college, Hozier released his E.P. and just a year later, his debut album which swiftly accumulated half-million in sales! This bluesy soulful sensation is one to look out for, there is something very special and pure about him.